Whether you’re looking for the vehicle that will be the one you want to experience on the roads for the next several years or you want to find the model that’s right for the first vehicle for a young driver, you’ll want to check out the selection of used models offered at Massey Yardley Jeep Chrysler Dodge Ram in Plantation, FL. This is where you’ll find the right selection of models to choose from so that you can secure one of the car loans that’s right for you for the vehicle you want to drive in Broadview Park. 2016 Fiat 500X FWD 4dr Easy – As a small and attractive Italian model you’re going to be ready to drive when you see this impressive little vehicle. This is one of the larger versions of the 500 to make it possible for you to have a bit of space and a drive that feels great on the road. Take a test drive and the secure one of the car loans offered to allow you to take this model home to Broadview Park. 2017 Jeep Patriot Sport FWD – This excellent Jeep SUV is one that can be had with one of the most affordable prices and the right qualities for the drive you’re looking for. Come in and take this Patriot for a test drive to see what it has to offer you as you look to secure one of the car loans from this dealership to make this the SUV you want to enjoy in Broadview Park. 2016 Chrysler 200 4dr Sdn Limited FWD – Make your way to this dealership and let this excellent small sedan be the one that will provide you with the drive you’re looking for and the qualities you need. Choose the right one of the car loans offered and see how easy it is to begin to enjoy the drive of this car when you head home to Broadview Park. 2017 Jeep Patriot Sport FWD – Choose this version of the Jeep Patriot to drive and enjoy and you’re going to love the price, the quality, the low miles and the feel of this excellent model on the road. Choose the right one of the car loans offered and take this incredible model home with you to Broadview Park where you can find the vehicle you’re looking to enjoy. 2016 Fiat 500X FWD 4dr Easy – This excellent small vehicle offers you the benefits of keyless start, remote engine start, Bluetooth connectivity and keyless entry to give you an SUV you’re going to want to have on the road. 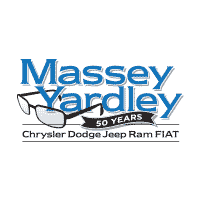 Choose this used Fiat and one of the car loans offered by Massey Yardley Jeep Chrysler Dodge Ram in Plantation, FL to have the vehicle you want to drive in Broadview Park. 0 comment(s) so far on Are You Ready to Drive?